The most common form of dementia, Alzheimer’s disease is marked by progressive problems with memory, cognition, and behavior that are caused by a generalized degradation of the brain. As our loved ones age, it becomes more and more important to keep an eye out for the common signs of a failing memory. Some decline in memory is expected with age, but certain signs can indicate much more significant conditions, such as Alzheimer’s disease or another type of dementia. 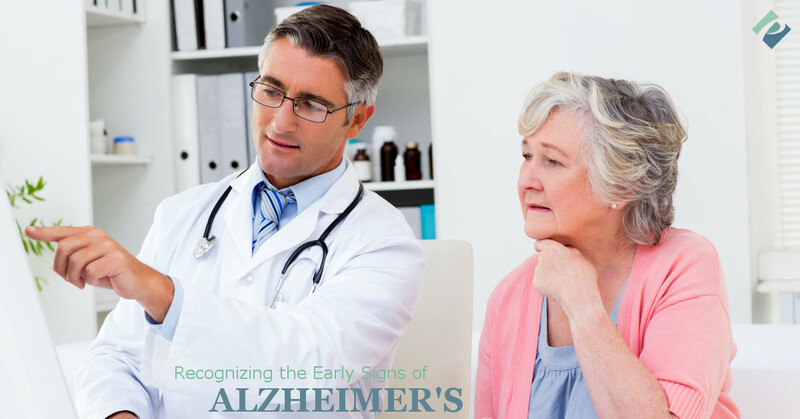 Be sure to keep reading to educate yourself on some of the early warning signs of Alzheimer’s. If your aging loved one is struggling with this form of dementia, we hope you’ll consider Prosperity Pointe Assisted Living as a supportive new home for him or her. Our assisted living facility is complete with a memory care floor that is dedicated entirely to supporting our residents with dementia. Schedule your facility tour now by contacting us online. One of the most recognizable signs of Alzheimer’s disease is memory loss. Now, it’s true that we all forget certain things occasionally; when a declining memory becomes troublesome is when it begins to disrupt the person’s daily life due to bills going unpaid, not remembering important events or appointments, or over-relying on memory aids, such as phone reminders or sticky notes. If your aging loved one forgets the name of an important person (spouse, child, etc. ), repeatedly asks for the same information, or frequently seems to have trouble finding the right word during conversation, these things could indicate Alzheimer’s disease. Does your loved one seem to have difficulties with sticking to a recipe? Does he or she struggle with numbers and problem solving more than before? Planning ahead and following directions can both become difficult for people struggling with early Alzheimer’s disease. For example, following a food recipe requires that the cook remembers which step they were on and what that step includes long enough to complete it. Someone with Alzheimer’s may begin a step but then forget what it is or how to complete it, may skip steps altogether, or may have to reread instructions over and over again. Even simple tasks can become seemingly impossible for someone who is experiencing the early symptoms of Alzheimer’s. Daily tasks that you have never really had to think about may suddenly become difficult because you don’t remember how something works or where something is. For example, your aging loved one may forget the rules to his or her favorite card game, which the two of you have been playing together for years. An inability to drive is also a prime example of this. If your loved one is struggling with driving because he or she gets lost, forgets where he or she is going, or wonders how he or she got somewhere, this could indicate Alzheimer’s. If you sometimes forget which day of the week it is but then remember later on, this is not necessarily a red flag for Alzheimer’s disease. That being said, many sufferers begin to struggle with being confused as to where they are and/or when they are as an early symptom of this form of dementia. Does your loved one lose track of the current day’s date, the current season, or even just time as it passes? Does he or she get lost easily, ask to talk to deceased friends or loved ones, or forget where he or she is? All of these are possible indications of the symptoms of this disease. If your aging loved one occasionally misplaces an item here and there, that’s not necessarily a reason to worry. We all lose things sometimes because such is the nature of being human. When you should seek a professional diagnosis for Alzheimer’s is when your loved one is losing things often and is unable to retrace his or her steps to find the items again. Another red flag is if items are found in extremely strange or inappropriate places. Car keys never belonged in the freezer, so finding them there should cause you to pause. Another red flag is if your loved one becomes accusatory, asking others where they put his or her belongings. Experiencing the early symptoms of Alzheimer’s disease can be confusing, disorienting, and frustrating, so sufferers often withdraw from social situations. For example, if your mom has been in the same weekly book club for the past decade but suddenly stops reading and going to club meetings, you may consider this as a sign that something is not right. Be sure to keep an eye out for lost interest in once favorite sports teams, lost interest in a once beloved hobby, increased time spent in bed, or other related or similar behaviors. As Alzheimer’s disease progresses, sufferers can also experience changes in mood and personality caused by an increase in symptoms. Anybody could become upset after a change in daily routine, but a sufferer of Alzheimer’s may become suspicious or fearful of others for seemingly small or nonexistent reasons. Someone with the disease may also experience an unexplained increase in irritability, becoming upset easily. Other common emotions include anxiety, confusion, and depression. Keep these early signs of Alzheimer’s in your mind if you have aging friends or loved ones, and be sure to seek professional help when you need it. Taking care of someone struggling with Alzheimer’s can be difficult, especially when you care deeply for that person and only want the best for them. If you want the best for your loved one with Alzheimer’s but can’t provide it because of things going on in your own life, we hope you consider Prosperity Pointe Assisted Living. 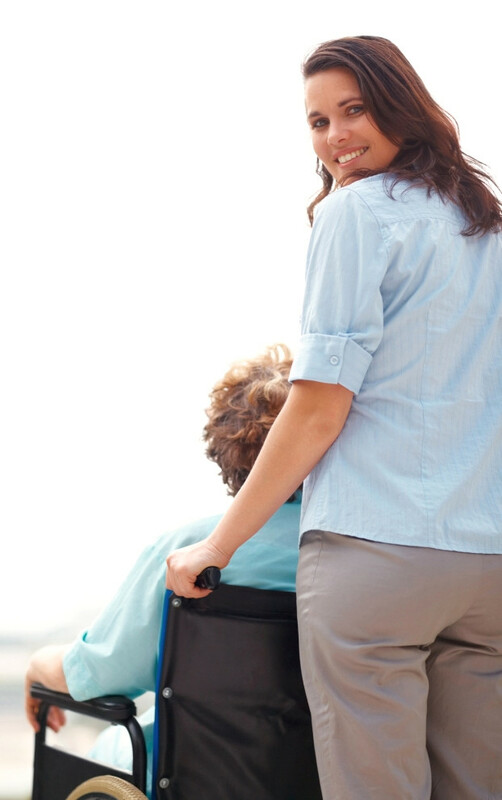 We can provide your loved one with a new, comfortable, supportive, and safe home where he or she can truly prosper. Schedule your tour of our facility today, or get all of your questions about our assisted living facility answered by getting in touch!